This is real-life Rocky Balboa stuff. 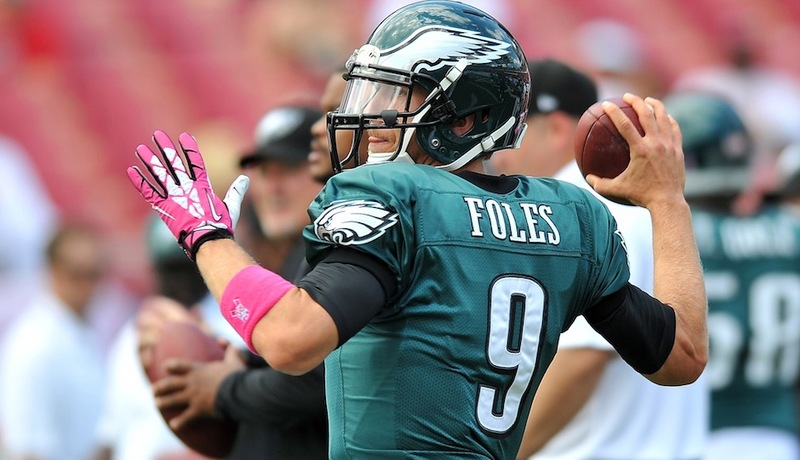 The backup quarterback, Nick Foles, same guy who came in last year when the star quarterback went done with an injury, is at it again. Last year he took the Eagles to the Super Bowl championship and beat the mighty New England Patriots. They said it could never happen. Looks like lightning may be striking in the same place again. Vegas says no way. Can't happen. The New Orleans Saints are just too good to be beat. We will soon see. Oh, most of us like the game; we just can’t support them via ratings because of all the n*ggers hating on the country that made them millionaires. Wait, what? "Can't support them via ratings"? I must have missed something here. Are you a Nielsen family? How would anyone know you're watching unless you're streaming or on some internet-connected television? 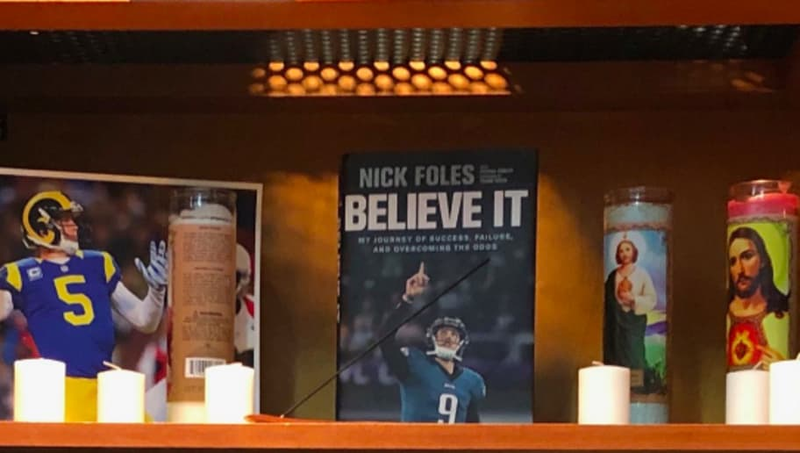 When Eagles star quarterback, Carson Wentz, went down with an injury, DE Chris Long built this shrine to his backup quarterback in the top of his locker. Since that time, the backup QB has won four consecutive games. This weekend, he faces a true Goliath. Oh, I don't know. I almost feel sorry for poor, St. Nick, being surrounded by all those other Saints marching all around. After all, there's a lot in "That Number." Well that'd explain it. I have neither!